End of Rope Productions is the brainchild of Heather Dann and Adrienne Kress. ﻿HEATHER DANN is a Toronto-born actor who has trained both locally and abroad. A drama graduate of the University College Drama Programme at the University of Toronto, she is also a graduate of the prestigious Bristol Old Vic Theatre School (UK). Heather’s credits include Girlfriend in a Coma (BBC Radio 3), A Weekend in the Country (Killer Kat Productions) and Uneasy Lies the Head (BOVTS), as well as Fresh Air (Little Boy Blue Film) and Touring T.O. (Crazy Shirt Productions). Currently, Heather runs the Toronto Studio Services department for menswear designer John Varvatos, working closely with some of the top Costume Designers in the industry and assisting wardrobe teams on many of the largest Film and Television productions in Toronto and across Canada. ADRIENNE KRESS is a Toronto actor and author of the internationally published and award winning children's novels Alex and the Ironic Gentleman and Timothy and the Dragon’s Gate (Scholastic), as well as the young adult novels, The Friday Society (Penguin) and Outcast (Diversion Books). ﻿Next year (2016) she will be releasing two new middle grade novels, each the first in an upcoming series: The Explorers Club (Random House) and Hatter Madigan: Ghost in the H.A.T.B.O.X., the latter an exciting collaboration with NY Times bestselling author Frank Beddor (set in the same world as his Looking Glass Wars trilogy). 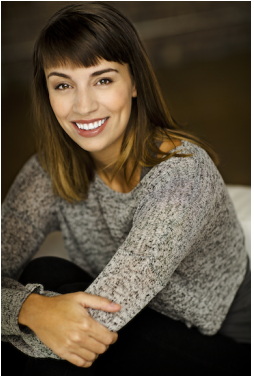 A graduate of both the University of Toronto's drama program, as well as the London Academy of Music and Dramatic Arts (UK), some of her most recent acting credits include Come Blow Your Horn (Classic Theatre Festival), Un Ballo In Maschera (Canadian Opera Company), and Swoon! (Next Stage Festival) as well as the horror flicks The Devil’s Mile (Grover’s Mill) and Wolves (directed by David Hayter). Television credits include SyFy’s Lost Girl and Touring T.O. She also wrote, produced and directed the play A Weekend in the Country for both the Summerworks Festival in Toronto, and the Edinburgh Festival Fringe. Visit her imdb here, and her website here.